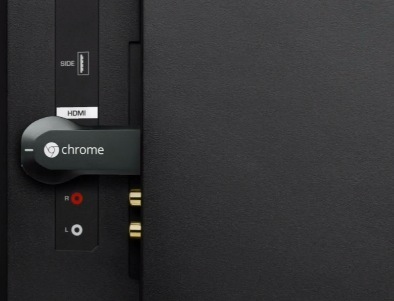 Chromecast is powered by Chrome and it brings to you the power of internet to your largest screen at home. You will be able to watch things like YouTube, Google Play, Netflix, Pandora and Photos on HDTVs. It may sound like Apple TV, but we know that Google TV services is going to be launched soon, as its also under discussion. Chromecast has made this expansion for the first time where it adds the largest screen in your living room. Now Google has retooled the Chrome OS to bring you content right into your TV with just a plug in device. This device is similar to AirPlay which provide you an option to load the video on other screen. The good thing about the device is it will work for both Android and iOS, with an ease. If you have multiple devices, then you can control the TV with every device instantly. It just appears to be seamless. By clicking on the cast button, your video will start playing instantly and you can still work on the computer as any other task. You can easily get this device from today with a of just $35 in the US, it just like a small pen drive which connected into your HDMI port.